The orange foliage of this tree near the duck pond of the Pequotsepos Nature Center caught Kirsten's eye. 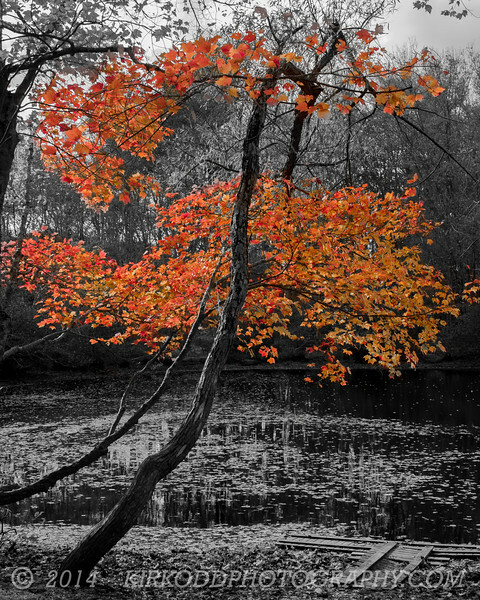 For this piece, Chris experimented with selective color to bring out the brilliance of this tree. The result is a beautiful fall scene with a brilliant orange tree that pops out of the print. This picture is from Mystic, Connecticut.